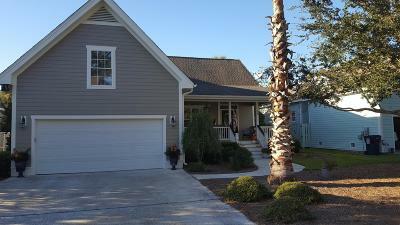 This three bedroom, 3 full bath home with a bonus room over the garage has it all. With almost $44,000 in upgrades over the last several years this home is immaculate and move in ready !! The bonus room can make an additional bedroom as well as a nice setup with potential for upstairs independent living area. The master suite is located conveniently on the ground floor .The home enjoys a lovely fairway view, and has over 2400 square feet of living space. There is a two car garage, immaculate mature landscape, and no shortage of storage space throughout the home. Hardwood floors throughout the living areas and plush carpet in the bedrooms. Open floor plan concept, gas fireplace and screened back porch . The open concept kitchen and living, with casual dining but also formal dining.